Dr. Nancy, as she's called by her patients, has been in pediatric dental practice since July of 1990. While the technological advances in pediatric dentistry during the past years have been incredible; thankfully, what enticed her to the profession has remained wonderfully the same and that is the kids. Since she first taught swim lessons to children during her teenage years, she knew she would work with children in some capacity. She says: "I feel very lucky that all day, every day I am able to interact, engage and influence the health of children in a very fundamental way." The scientific changes in dentistry have enabled a significant number of children to reach adulthood with no tooth decay and hopefully dental disease will be completely eliminated as the number 1 health issue in children. Dr. Hijjawi received her BS from the University of Illinois at Urbana in 1984. At Loyola University School of Dentistry, she graduated with honors and received the Certificate of Merit from the American Society of Dentistry for Children for demonstrated Excellence in Pediatric Dentistry. She was also awarded a teaching assistantship in Community Dentistry and the Dean's Letter of Commendation. Upon completion of dental school, she matriculated to the pediatric dental residency at The Children's Memorial Medical Center in Chicago, where she was the chief dental resident. Concurrently, she completed a master's degree in Oral Biology from Northwestern University. She is both a Diplomate and Fellow of the American Board of Pediatric Dentistry. 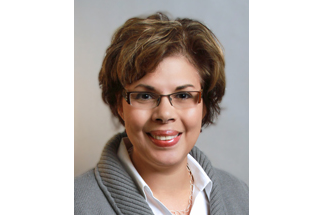 Dr. Hijjawi has been a member of the attending staff at the former Children's Memorial Medical Center, now the Ann and Robert H. Lurie Children's hospital of Chicago, since she completed her training program in 1990. Additionally, she is a member of the American Academy of Pediatric Dentistry, the American Academy of Pediatrics, the Illinois Society of Pediatric Dentistry and American Dental Association. Dr. Hijjawi has a special interest in treating children with special needs and those with complex medical issues. Dr. Hijjawi lives in River Forest, with her husband, Carl, son, JT, and her beagle, Scooter. During her free time, Dr. Hijjawi enjoys all things family. She can be found cheering on her son at lacrosse and basketball games; gardening, cooking, and hanging out with her extended family.